Medical Malpractice Help » Medical Malpractice Causes » Hospital » Can You Sue A Hospital? 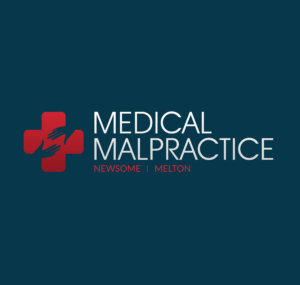 Medical malpractice is a difficult branch of law for a variety of reasons. Of course, not every problem that results from a hospital visit is malpractice, and even when it is, legal action is not always the correct course of action. Furthermore, who is legally responsible for malpractice varies based on the circumstances. Here are some factors to consider in regards to potential malpractice cases and hospital liability. In order to have a case, the alleged malpractice must have led to some sort of injury, whereas a mistake that is harmless has no legal weight. Furthermore, because of the expense of a malpractice suit, most attorneys will not take a case unless the consequences were severe, such as a permanent injury or a long term loss of work. Otherwise even a victory is not likely to make enough money to cover their expenses. If one has a case worth pursuing, the next question becomes: “Who do you file a claim against?” The answer is usually either the doctor or the hospital, but different factors affect who is considered legally responsible. A hospital is generally responsible for any actions carried out by its employees. However, most doctors are not actually employed by hospitals, but work as independent contractors. This means that if they make a mistake, the responsibility rests on them, rather than the hospital. However, other staff members, such as nurses, technicians and paramedics, are usually employed by the hospital directly, and thus the hospital is liable for mistakes that they make. Conversely, hospitals are usually responsible for a doctor’s malpractice if they fail to inform the patient that the doctor was not their employee. To prevent this, most hospitals put this information in their admission forms. However, because it is difficult to give this information in the emergency room, in most states the hospital can be held legally responsible for a doctor’s ER errors. They can also be held responsible for retaining a doctor’s services if they had reason to believe that said doctor was not competent. A range of hospital staff including physicians, nurses, and administrators may commit negligence, and a Harvard Study of New York Hospitals revealed that one of every 100 hospital patients leaves with an injury caused by medical negligence. Hospitals are generally held responsible for malpractice that is committed by a hospital employee. However, nurses and physicians who are attending a surgery and are not hospital employees may be responsible for their negligence. Four out of every 100 hospital patients are injured by avoidable medical mistakes, and the Institute of Medicine estimates that avoidable mistakes cause about 100,000 deaths annually. Common negligence that results in lawsuits against a hospital includes the following: childbirth injuries, anesthesia errors, surgical infections and errors, misdiagnosis, and delayed waiting time in the emergency department. Patients who are misdiagnosed may suffer further problems if they were not properly treated for their initial health problem. Doctors who misdiagnose the patient and give them unnecessary treatment can cause a new medical issue and/or cause the initial health concern to worsen. Some hospitals that consistently exceed bed capacity and are improperly staffed compromise patient safety and lead to long waits in the emergency department. Management that does not respond to serious conditions can lead patients’ conditions to worsen as they wait to be seen by medical personnel. Several lawsuits have noted excessive wait times in which a patient’s infection spread and caused the need for amputation. “Birth Trauma.” Medscape Reference. N.p., 26 Nov. 2012. Web. 20 Dec. 2012. “Emergency Department Delays.” Department of Veterans Affairs. Office of Inspector General, 15 Aug. 2012. Web. 17 Dec. 2012. Peters, Philip G., Jr. “Making Hospitals Accountable.” Cato Institute. University of Missouri-Columbia School of Law, July 2009. Web. 18 Dec. 2012.